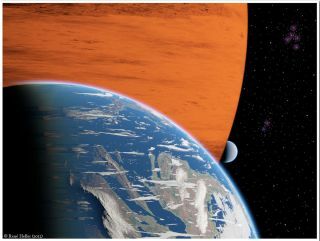 In the search for an Earth-like alien world, astronomers have had their eyes set on planets beyond our solar system, but some moons orbiting some of these exoplanets may be just as likely to support life, scientists say. Astronomers have discovered more than 800 exoplanets, with many more candidate worlds awaiting confirmation by follow-up observations. Most of them, however, are gas giants, similar to Jupiter, and only a handful have a solid surface and orbit their host stars in the habitable zone, the range where liquid water, and perhaps life as we know it, can exist. "An observer standing on the surface of such an exomoon would experience day and night in a totally different way than we do on Earth." explained Heller. "For instance, stellar eclipses could lead to sudden total darkness at noon."